Affinity is an agency committed to providing businesses with training and educational materials in all areas of digital marketing disciplines. Given the uniqueness of each business and website, we realise that there is no one-size-fits-all approach to digital training. We firmly believe that training in online practices should be tailored specifically to the business, its website and the staff that make use of it. That’s why all training that we deliver is written specifically for each session we deliver. Whether you or your marketing team are new to Google Analytics or already have some hands-on experience, Affinity can provide training courses that will enhance your business’s knowledge of Google Analytics. We provide practical how-to demonstrations for obtaining insights that will benefit your business and can be put to regular use. It all starts with an initial discussion in which you detail to us the skills you want to achieve. Then one of our Google Analytics-certified trainers will produce your training course and deliver it at your business premises or at our own fully-catered offices. As well as providing bespoke Google Analytics training, we also host regular Google Analytics seminars at our base of operations in Norwich. Our seminars are ideal for both beginners as well as more intermediate Analytics users alike. Google updated to Universal Analytics back in October 2012, yet we’re still surprised at just how many businesses have not had the chance to brush up on their knowledge of this major update. Affinity’s team of Google Analytics experts can deliver Universal Analytics training that will provide you with tips on setup and installation, as well as offer insights into some of the major differences to previous versions that might impact on your reporting. 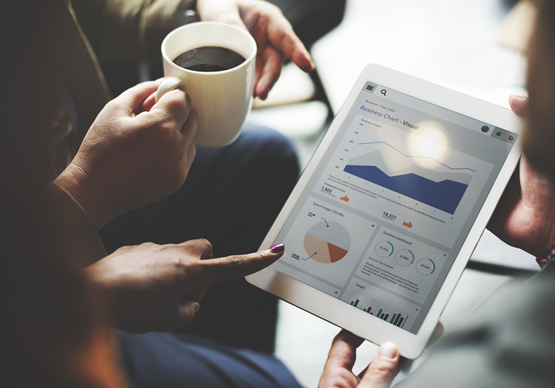 Interested in our bespoke analytics training and support services? Contact affinity today and arrange a meeting with one of our analytics training and support experts.